It has become a beloved tradition, and this year was not going to be any different. The main goal of the CRA has always been to have a more interactive academy. Where we focus more on workshops and teaching, rather than specific policy creation, which we develop during the Council Meetings. 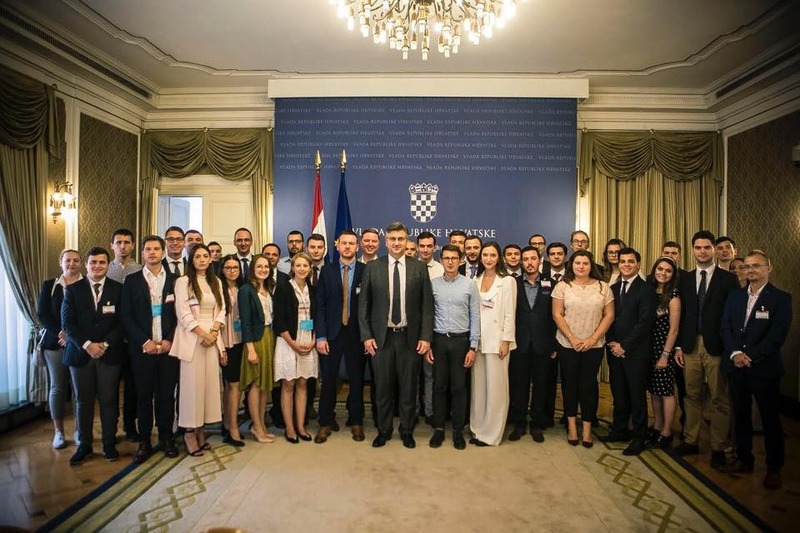 We had three days of interesting speakers, some of which included Prime Minister Plenković, Domagoj Milošević President of the Parliament board of EU, Minister of the Interior Davor Božinović, as well as representatives from organizations and the academic world. We hosted more than 30 members from all over Europe, who all also participated in a simulation workshop where they worked on speech writing, debate techniques and policy research by being assigned various topics and political groups within the parliament to represent, having to advocate and defend opinions than were not necessarily their own. This also gave the participants an opportunity to find the various parties’ goals and strategies for some of the main policy areas for the upcoming EU elections, as well as a better understanding of our European partners and competition. Overall, the event was a great success, and we already started working on next year’s Academy.